Whether you prefer twirling around to Phish at Bonnaroo or singing “thank u, next” at the top of your lungs with Ariana Grande at Coachella, you’re in good company: The festival season scene is a can’t-miss for millions of music lovers in the United States alone. For savvy concertgoers (think, more Whitney Port, less Fyre Festival ticket holders), there’s a lot more to think about pre-festival than which boho-chic outfits to pack for the experience. Maintaining a sense of wellness in that environment requires a certain amount of research and mindfulness. Sure, some venues and festivals offer activities like fitness classes, art markets, and even kid-friendly events. But, big questions remain, like what to eat, what to drink, and how to protect the ears for years of music festivals to come. Whether you’re a first-timer going to Austin City Limits or a seasoned vet heading back to Lollapalooza, easy-to-follow tips can help you have a great time without compromising your health. Festival lineups may offer a rich array of sounds from all over the world, but often the eats on offer are as basic and nutrient-lacking as they come. And if you follow specific diet plan, finding nourishment can be challenging, to say the least. Challenging, though, certainly doesn’t mean impossible. 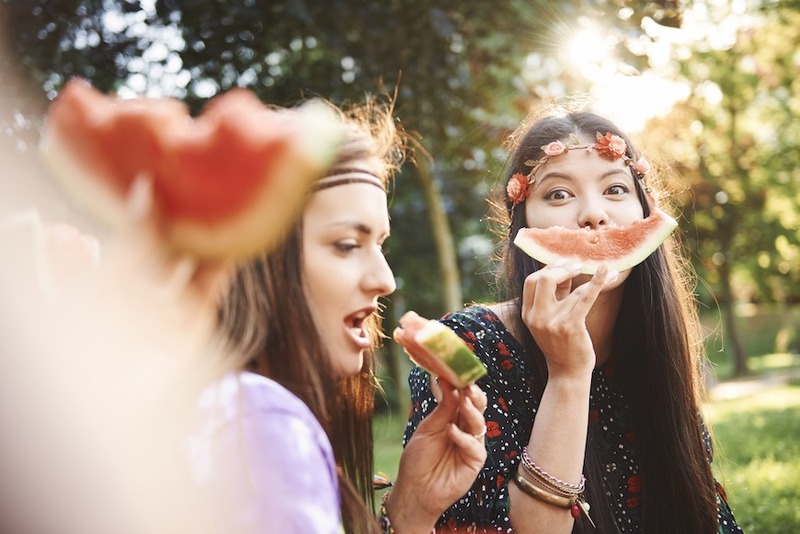 After taking in the lay of the festival land to scan all your options once you arrive at the event, holistic nutritionist Ali Shapiro suggests centering your meals around proteins and vegetables, and avoiding empty carbs that drain your body of nutrients, and thus, energy. “I will always ask for extra herbs or even salsa to get more veggies in,” she says.